Tenor Saxophone. Composed by Gordon Goodwin. Play-Along; SmartMusic; Woodwind - Saxophone Method or Collection. Gordon Goodwin Series. Grade 5-6. Big Band and Play Along. Instructional book (leadsheet notation) and accompaniment CD. With leadsheet notation, performance notes, introductory text, black & white photos and solo transcriptions. 68 pages. Alfred Music #00-25247. Published by Alfred Music (AP.25247). ISBN 0739039660. 9x12 inches. English. 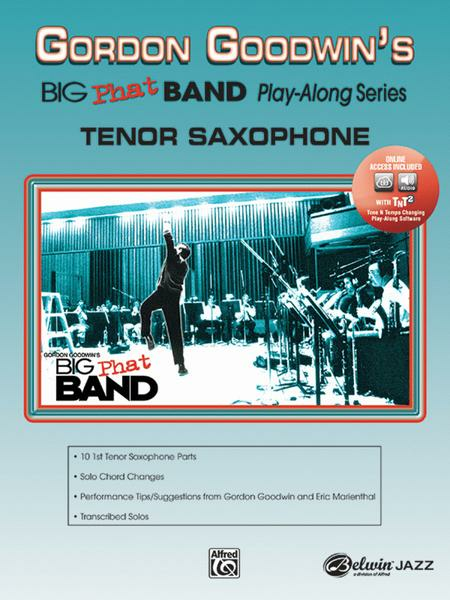 fan of Gordon Goodwin's Big Phat Band and as such the book is fantastic and the CD couldn't be better. If you want inspiration to play Big Band music at the highest level then this is the book for you. The backing tracks are THE Big Phat Band playing the best selection of Gordon Goodwin's big band music, including "Huntin' Wabbits" and "The Jazz Police" (two of my personal favourites). You play along with the Big Phat Band and get the opportunity to improvise as the lead instrument; and although this is difficult it is very enjoyable trying to live with these great musicians in their environment. 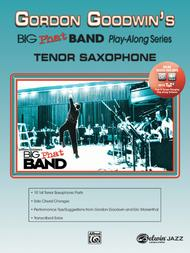 If you love big band music give this book and CD a place in your sheet music collection.